I finished the coffee tables this afternoon. They turned out not half bad. Even though I had a few glitches along the way. Let me tell you about it. Now that our 25th wedding anniversary is over it’s back to work on the coffee tables for my bride. Besides the legs being shorted and having only 1 drawer, these coffee tables have other differences, such as a lift-up top. The end tables are finished! More importantly, Po is pleased. These tables feature 2 drawers for storage and the legs keep the tables high enough to allow our Roomba to get underneath to clean. It’s beginning to look like an end table. I’ve got the fronts of the drawers attached and the top completed. I have installed the drawers of the end tables. This feature will all us to store magazines, books and pens so they will be in easy reach while not cluttering up the Livingroom. Well, that’s the plan. Will it work? Who knows? The bases of the end tables are now standing on their own 4 feet. You can start to get an idea as to how these tables will look when they are finished. I have suffered a setback with my coffee and end tables. The spacing between the legs where I intended to attach the drawer slides is too far apart for the 20-inch slides I bought. I have started to construct the end tables starting with the sides. I’m letting them dry overnight before I connect them. I have plugged, cut off and sanded the legs and they are now ready to have the slots cuts that will hold the biscuits, which will attach them to the sides, I hope. Finished the legs of the coffee and end tables on Monday. They are not quite finished. I need to sand then and do something about the ends. The ends of the legs are hollow and, in the case of the coffee tables, will be exposed. Therefore, I have to plug them. I estimated that these holes would be 1.5 inches square, which they are and I could glue up 2 pieces of ¾ plywood together and rip them to size. However, ¾ plywood isn’t ¾ inches thick, so I have to figure something out. I thought about sandwiching thin strips of wood between the plywood to make it thicker. I even started to glue up one, but tonight I thought of a better idea. The new plan is to cut ¾ plywood into strips and poke it in the holes to form a pinwheel pattern. This will leave a small hole in the middle, which I will fill with a small peg. People often suggest holding an email meeting as an alternative to face-to-face meetings. This book identifies the rules of order that no longer apply, rules that we need to rewrite and new rules that are unique to email meetings. Available from Amazon. A computer program has chosen 8 young people to replace the original Mars Colonists. The new colonists must get along and all agree to go, or the mission is off. 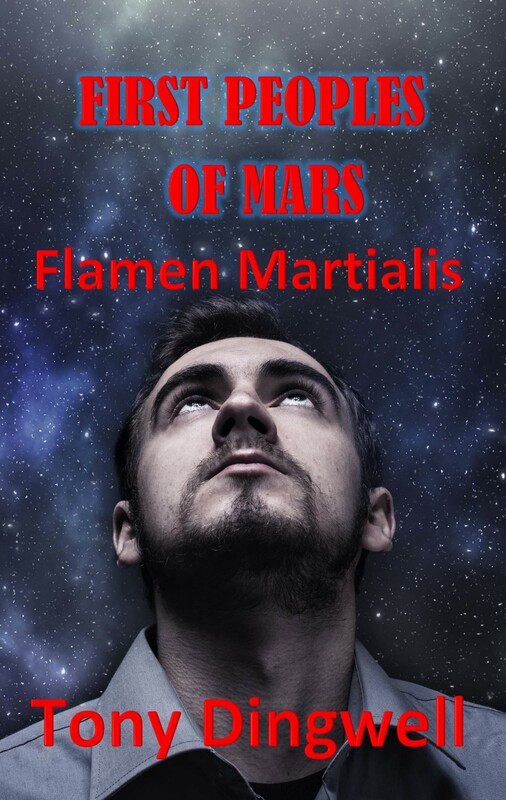 The only person that might be able to keep the colonists together is their leader, the Flamen Martialis, but who is this person? Available from Amazon. The year is 1428. A young Hok'ee lives with his mother on the edge of a First Nations village as outcasts. The Chief gives Hok'ee an opportunity to restore his family's name and to establish a household of his own. All Hok'ee needs to do is bring back the scalp of Sasquatch. However, what he discovers about Sasquatch changes his life. Available from Amazon. Oliver Dingle-Mouse has found what he has been looking for in Mr. Rat's junkyard, a piano. There is only one problem; he does not have any money to buy it. Mr. Rat talks the little mouse into setting up a farming business to earn the money to buy the piano. To make a profit, Oliver enters into partnership with his friends Dianna and Timmy Goo-Cheese and learns what it takes to run a business. Available from Amazon.